Every month I will be sharing some photos of the boys altogether and talking a little bit about how they have been getting along. Having three boys so close in age (they’re five, four and two now) is incredibly difficult sometimes, especially with the older two, who have recently discovered play wrestling, but at the same time they usually play really nicely together and are the best of friends. At the beginning of the month, before they went back to school, we headed down to the beach to play in the puddles. Graham had been working nights and trying to keep the three of them quiet so he could sleep whilst living in a bungalow was proving a little challenging. I hoped by taking them to the beach and running off some energy would calm them down. It worked! We took some diggers and boats down to play with on the sand and in the water and made sure everyone had their wellies on. Benjamin has developed a (sometimes hilarious!) habit of sitting down in knee deep puddles so he was wearing a puddle suit in case he pulled that trick. The kids waded in and out of the puddles whilst we talked about what things might sink and what might float (always an opportunity for a mini science lesson!) and had lots of fun. It was lovely watching them all playing together, and the older two helping Benjamin across the rocks and in the water. Play time on the beach near the water is so fun. I love taking mine to the beach in the winter. Looks like they are really getting into the exploring here together. So much to do and find not just in summer. Wish we had one closer. I love this project to watch everyone’s children go and bond together. 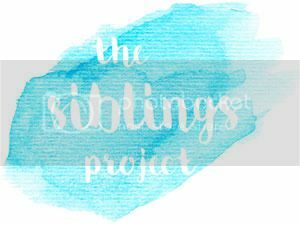 These are lovely captures to kick start #siblingsproject this year. I can imagine the challenge of trying to keep them vaguely quiet at home, even at almost 11 and 12 my boys don’t do quiet. I love a good walk on the beach.